16 Tips for Road Trips with Toddlers & Preschoolers - C.R.A.F.T. A giant thank you to Kia for letting my family borrow a Kia Sorento for our 12 hour road trip to Seaside, FL! What a difference a car can make! We love to travel! I’ve been to 41 countries in my 33 years of life and have taken bazillions of road trips. Heck, Maxwell took 10 plane rides before he was 5 months old! (Tips for traveling with a baby via airplane.) 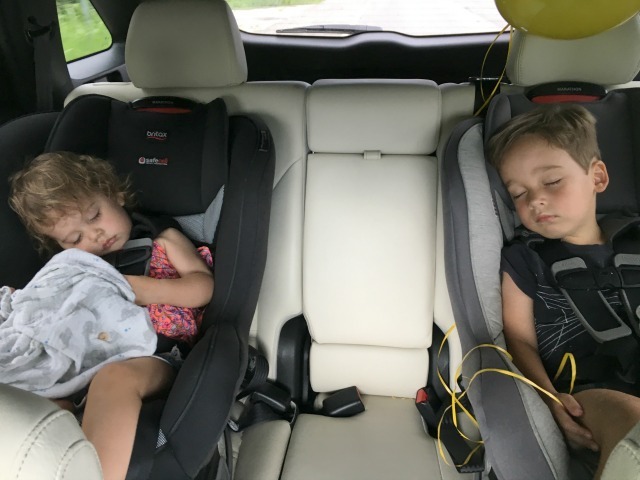 Our longest car ride to date with two kids was a recent family vacation to Florida. If you’re new here we have a 1.5 year old and a 3.5 year old and we drove to Seaside, Florida in July. According to Google Maps, 788 miles should take a little less than 12 hours. It took us more like 15 hours. 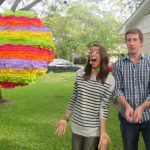 I put together a list of tips I wish I would have seen before we set off on on our crazy road trip adventure. 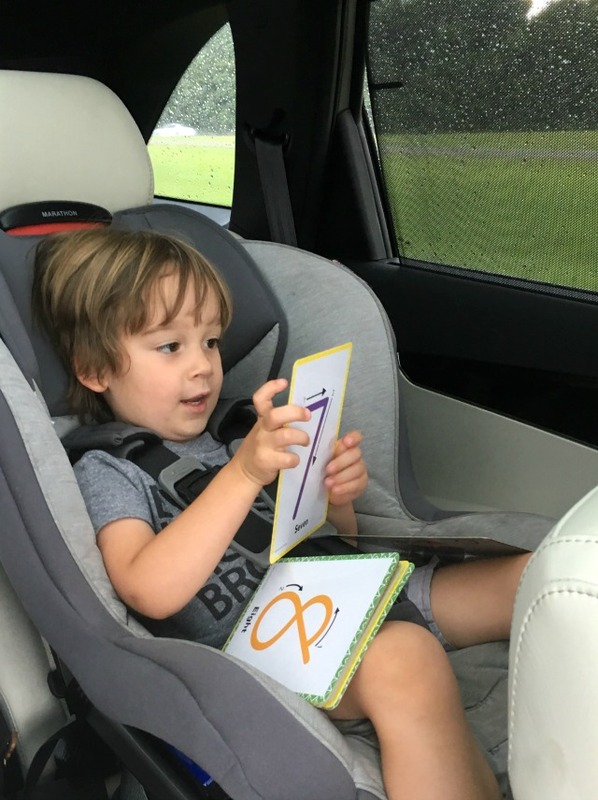 #9 ensures 4 hours of peaceful driving, don’t lose kids shoes with #14, and if you get nothing else out this article, pack whole apples for car snacks! After meeting the Kia team at Mom 2.0, a blog conference, and then checking out their fleet of eco friendly cars in San Diego, CA I was sold on driving a Kia Sorento for our family road trip this summer. The people behind Kia are amazing, but the product speaks for itself. I can’t get over that 10 years ago Kia was at the bottom. But, over the next decade, Kia dedicated itself to quality craftsmanship and in 2016 earned the top spot on JD Power and associates study of best initial quality in the entire car industry… above all of the luxury car brands! That’s pretty dang impressive if you ask me. Psst…This post contains affiliate links. I fill another diaper box with car activities including books that I know my 3.5 year old loves. I like to pick a few books that he knows by heart and can “read” to his 1.5 year old sister. (Pout Pout Fish is always a winner!) I usually buy a few new books too. Other awesome car activities are magna doodles, transformers, small cars that have moving parts, and sunglasses, hats, and a mirror for my 1.5 year old! 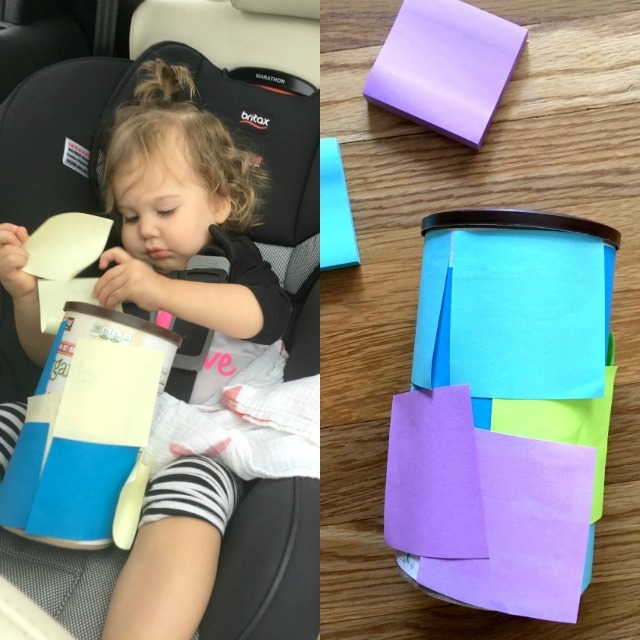 Pick up a few packs of Post It notes in different colors and let the kids go wild sticking them all over the car. Or make a fancy container like the one below and hand it to your toddler. Sticky notes on an oatmeal container, who knew that could provide so much entertainment! Oh and store the extra sticky notes inside of the container so that you can remake this fancy contraption if necessary. As for pipe cleaners, I got this idea from my friend Cassie who wrote a blog post for C.R.A.F.T years ago. 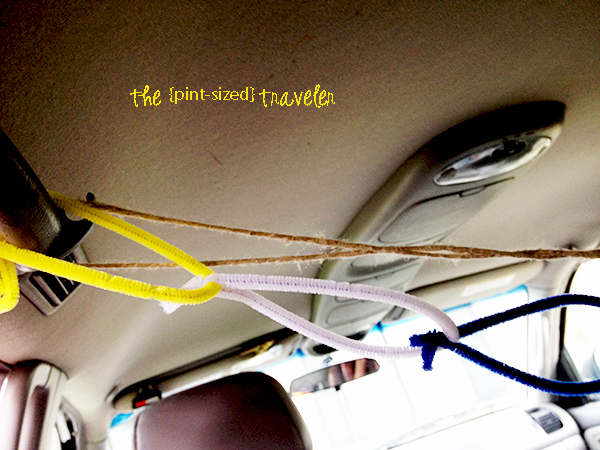 You can read all of her great ideas to keep kids busy on road trips with pipe cleaners here. Since my kids are both really young their favorite thing to do is make loops and connect the loops. My 3 year old enjoys stringing Cheerios too. Feel free to judge, but electronics are a must for us on long car rides! I’m all about that iPad. My 1.5 year old could care less about shows, but the 3.5 year old will almost watch an entire movie. So, if the little one is sleeping, I try my best to get the big guy to watch a movie. We have about 10 of his favorite movies/shows downloaded on the iPad, and the iPad perfectly wedges between the 2 front seats the Kia Sorento. 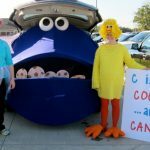 There will be lots of pit stops when road tripping with babies, toddlers, and/or preschoolers. Our 3.5 year old is potty trained so we stopped multiple times for him to use the restroom. We typically tried to combine that with getting gas, changing the 1.5 year olds diaper and possibly grabbing coffee or a real meal. If you’re traveling through small towns there might not be playgrounds readily available so one thing I like to do is search Google maps for Elementary schools. If it’s the weekend or summer, likely no one is on the playground and it’s the perfect place to stop and play. Other good playground pit stops are McDonald’s, Burger King, and if you’re lucky enough to have one on your road trip, Chick-fil-a! Since you’ve got lots of time, why not teach the kids something new! I found number flash cards in the Target Dollar Spot and decided to teach Maxwell to recognize numbers 0-9. On one side of the card was the number (3) and on the back side was for example, 3 apples. 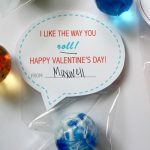 Sometimes I quizzed him, sometimes he quizzed me, sometimes he would ask for a hint and I would hand him the card so that he could count the items on the back of the card. We worked on numbers in sets of 3. So, we started with 0-2. Once he mastered those we would try and find those numbers on road signs. We did this in spontaneous spurts of 15 minutes or whenever he asked to “learn numbers”. There was also a prize involved, ha! It worked surprisingly well, upon arriving home he can recognize all 10 numbers! Driving through the night is not an option for us, but I do know lots of people that swear by this method. Mama needs sleep or everyone will be grumpy! We were on the road by 4am to get 4 hours under our belt while the kids were sleeping. When both kids were up and ready to move by 8am, we stopped and had breakfast. 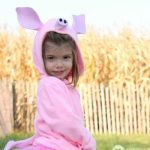 (See #6 for the best kid breakfast idea!) Here’s picture proof we we’re on the road by 4:36am! 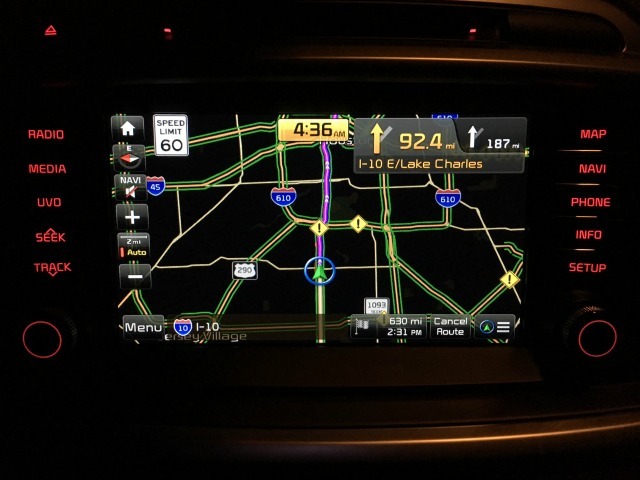 For the record, I love the navigation system in the Kia Sorento. It’s bright, user friendly, includes street signs, speed limit sign, and you can see how many miles until the next turn on the driver’s dashboard. We are going to talk about car organization in #12, but I think this is worthy of it’s very own bullet point. It’s very simple: Do not pack anything to go between the 2 car seats in case you need to jump back there and heal the world! Or console a total meltdown, basically the same thing. I only had to use this tactic once per 777 mile trek, but when you need it, you really need it. 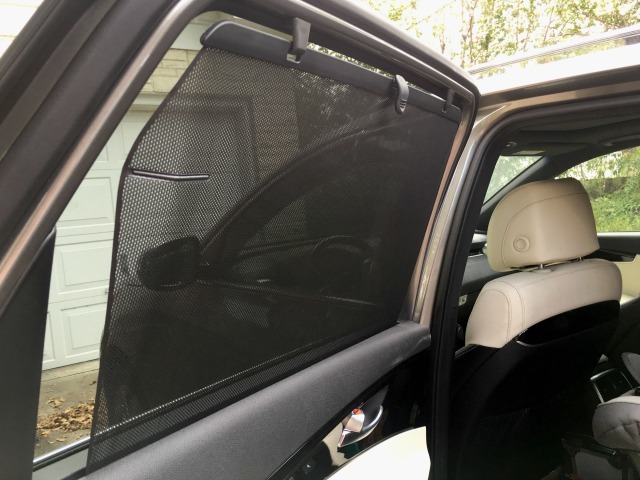 The Kia Sorento comes with window shades built into the back windows! You can roll down the window and the shades stay up. It’s amazing! I’m a big fan. If you’re car does not have built in shades, you can buy these that suction cup to any window. The next 3 tips all have to do with how and where to put things in your car. I swear just knowing where stuff is hiding in the car is half the battle. I cut the flaps off of diaper boxes and use them to store dry snacks and books/activities on the floor of the back seat. The soft cooler goes in the middle. Andy invented this trick after hunting for kid shoes at multiple pit stops. 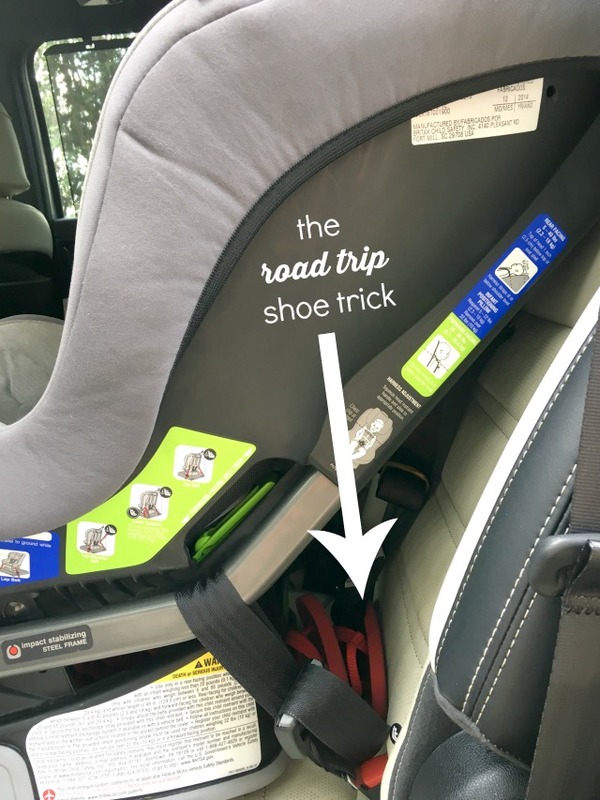 Bring easy to put on shoes and store them behind the car seat. Leave it in the center console. Oh and this is my favorite kind. Those gas stations bathrooms are gross, y’all. The diaper bag should include bazillions of diapers, a ridiculous amount of wipes, and at least one change of clothes for each kid. 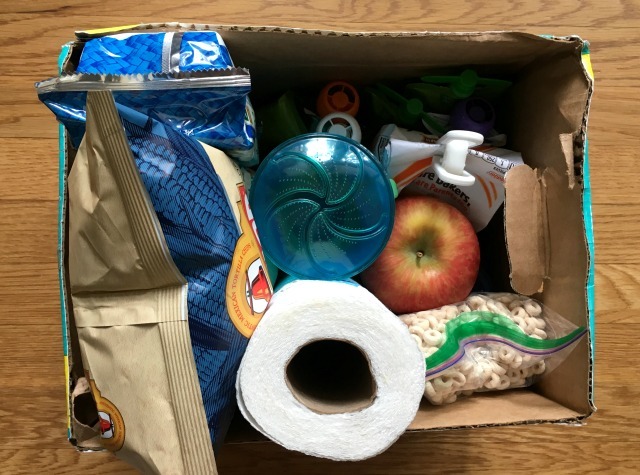 I pack these goodies in my everyday backpack diaper bag and make sure it is the last thing packed in the trunk of the car. If you have a diaper situation, you’re stopping anyway so I prefer the diaper bag in the trunk versus at my feet. Did I miss any tips? I’d love to hear! Thank you again to Kia for letting my family borrow a Sorento. Having extra space is so nice on the road. Not to mention packing all things baby and kid in the trunk! These are all fantastic tips! We have three kids between ages 2 and 8, and road trips are becoming more and more common. We love to have the oldest run a few rounds of Mad Libs during a trip. It’s a great way to reinforce language skills and writing during the summer. Though, using the post-its is total genius with the little one. Definitely going to have to give that a try. Ohhh Mad Libs is a great idea with oldder kiddos!! PLus I LOVE them! Thanks for the tip! I have a trip tomorow with my kid… Definitely going to have to give that a try. When temps are high slip an icepack behind the cushion of their car seat.